DC Comics Presents: JH Williams III, or Why Are You Shortchanging Me? So, apparently, JH Williams III has now gotten big enough that he pretty much counts as a superstar. With work like this, how could he not, right? Promo (maybe cover?) 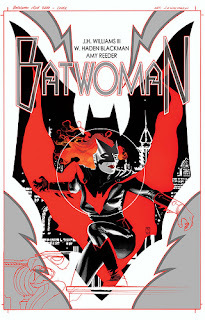 for the upcoming Batwoman ongoing. 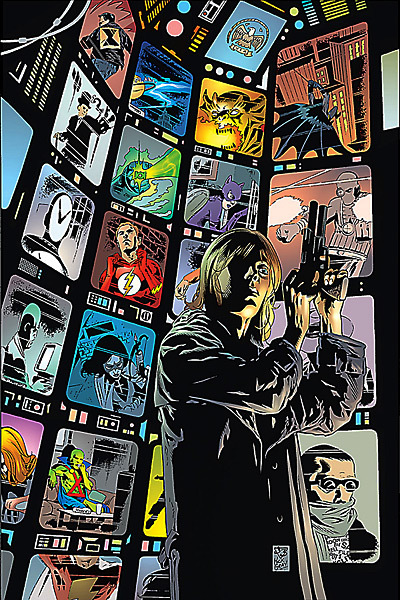 Williams got his start doing Chase for DC Comics, which was written by Dan Curtis Johnson and inked by Mick Gray (also his partner-in-crime for Promethea). It's a bit of a cult favorite among fans, and to date, the series has never been collected. I own the first issue, and I can honestly say that it was a good first issue and that it had an interesting premise: Cameron Chase is a new agent for the Department of Extranormal Affairs (DEO), meaning she deals with the regulation of superhumans. She's not very fond of them, but then at the end of the issue, there's an indication that she is one of them. I had always meant to get the subsequent issues, but finances got in the way. Now, with JH's rise in popularity, chances are that the titles have appreciated enough that finances will always be in the way (especially the issues that star Batman). The art is early Williams - not particularly refined, and he was still trying to find his voice. But the design sense was already there. It had been there since the beginning. 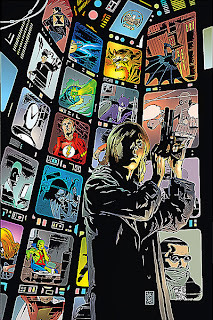 DC has finally realized that there's demand for early JH Williams III stuff, and in November, right before the debut of the new Batwoman ongoing, they are putting out DC Comics Presents: JH Williams III, a small paperback edition that collects the first issue of Chase. As well as its.... sixth, seventh, and eighth. There were only nine issues of Chase. 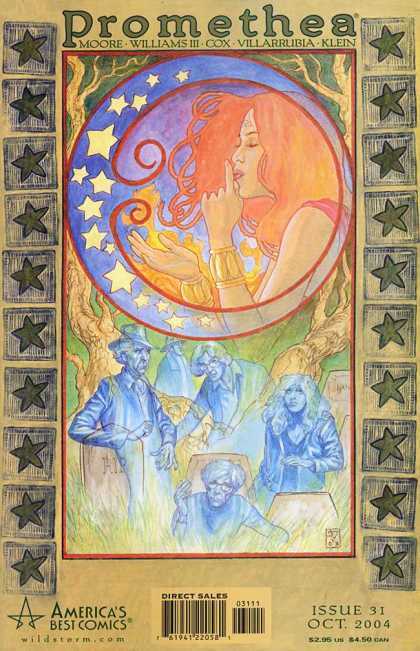 There was a 1,000,000 issue that coincided with the DC One Million event headed by Grant Morrison, and Cameron Chase actually debuted in Batman #550, done by the same creative team! That's just 11 issues, and even then, the complete story is just in those nine issues. Why didn't they just put out the whole thing? 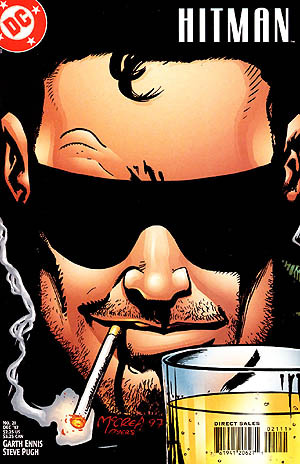 An interesting thing to keep in mind is that Hitman, by Garth Ennis - GARTH ENNIS - and John McCrea has never been finished being collected into TPBs. If a superstar writer like Garth Ennis can't sell TPBs of Hitman - something he was writing at the same time he was writing Preacher - then it can be said that there's not enough of a market out there to just purely support JH Williams III's work - and his early work at that! That's why, of the four issues selected by DC to include in their "J.H. Williams III" collection, one is a first issue and two others feature Batman. We live in a character-oriented market. And what we have is a bunch of J.H. 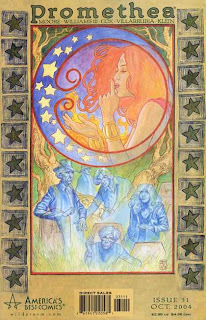 Williams III fans who will buy anything done by this artist because he is that damn good and he deserves our support, eclipsed by a far, far larger bunch of people who really just want to see him draw familiar characters. If you think about it in terms of character versus creator, it's a shame, really.